The Dalai Lama warned Friday of a growing divide among exiled Tibetans, saying that morals are “degenerating” in the community, as the leader of its government-in-exile was sworn in at a ceremony in India. 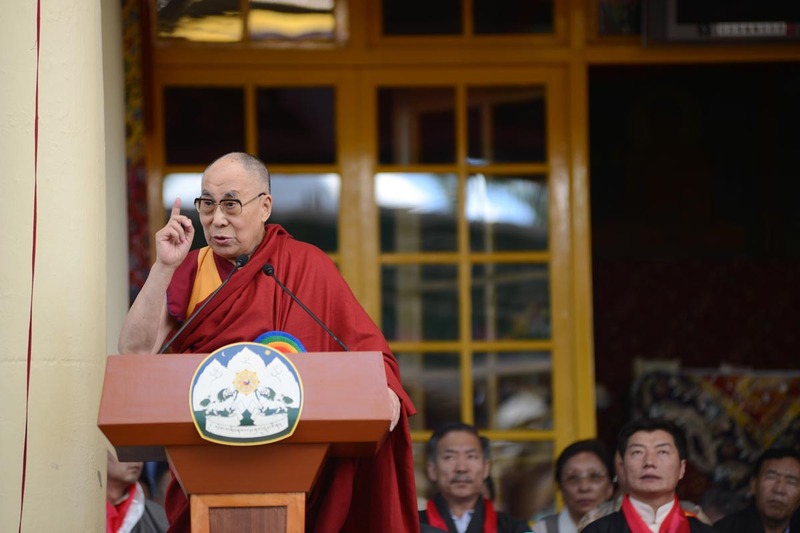 Speaking in front of crowds in a packed temple courtyard in the Indian hill town of Dharamshala, the spiritual leader called on Tibetans to uphold the community’s traditions of love and compassion. “Some were campaigning on the provincial and sectarian lines. These are not healthy. Tibet and Tibetans have been together for centuries,” the Dalai Lama told the crowd at Tsuglagkhang temple. Sangay, the newly re-elected Sikyong, or political leader, was sworn in Friday at a colourful ceremony attended by thousands of supporters, as he vowed to resolve his people’s struggle for autonomy during the Dalai Lama’s lifetime. His re-election last month came five years after the spiritual leader, now 80, ceded power in a bid to foster democracy and secure his succession. Addressing the crowds, Sangay vowed to continue the so-called “middle way” policy that advocates a peaceful campaign for greater autonomy for Tibetans, rather than all-out independence from China. “We are committed to make efforts towards the holding of talks between the envoys of His Holiness the Dalai Lama and the representatives of the Chinese government and resolve the issue of Tibet peacefully during His Holiness the Dalai Lama’s lifetime,” Sangay said. He offered sympathy with the actions of tens of Tibetans who self-immolated to protest against Chinese rule and pledged their deaths would not be in vain. “I stand in solidarity with and express my sincere appreciation for the patriotic fervour that continues to burn in Tibet, in all Tibetan hearts,” he said. Thousands of Tibetans have fled their Himalayan homeland since China sent in troops in 1951, and many have settled in India, where a government in-exile functions from Dharamshala. Around 90,000 Tibetans in 13 countries from Australia to the United States had registered to vote in the elections for a Sikyong. Sangay has urged the world to acknowledge the legitimacy of the government-in-exile, which is not recognised by any foreign state.